Caterwaul wrote: We dont have rules against thread necromancy so I wouldnt worry about it. Raven is a a hope summers body with a Maria Hill head. The shoulders I stole from an Iron Man figure. I sculpted the armor completely from scratch. Xen is a Torso and head from Green Lantern Movie 6" Ghu and the arms legs from the Irom Man who lended its shoulders to Raven. Tanka Varn is a Halo Elite Ranger. I sculpted the entire head and hump. I added a rubber band from a lego toy and gears from a model tank for his robitic arm. I used Testors Model Master Accryl for paint. You get a pretty cool effect from Raven and Hades' armor that wont show up via photos. For the red parts on them I used a base coat of chrome and then covered it with Transparent Red. 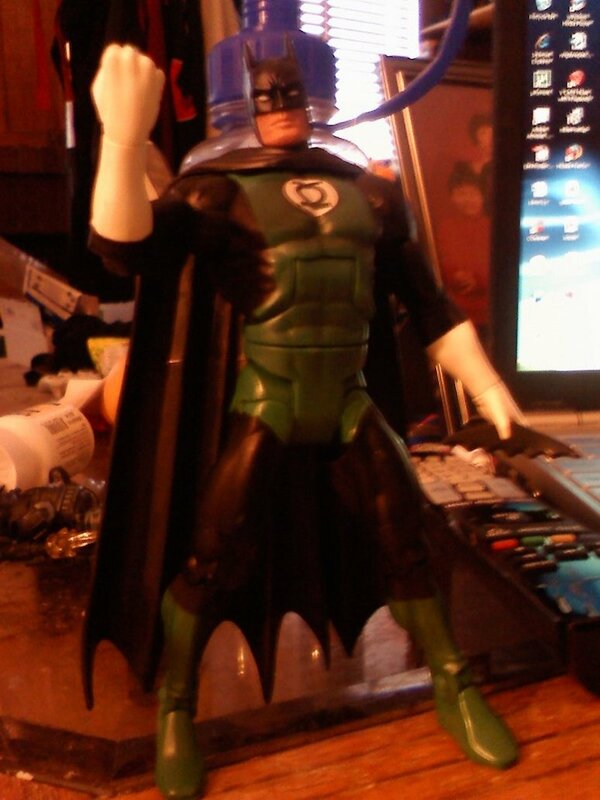 Saw someone do this somewhere, so I made my own green lantern batman. Its just a headswap and superglue for the cape. 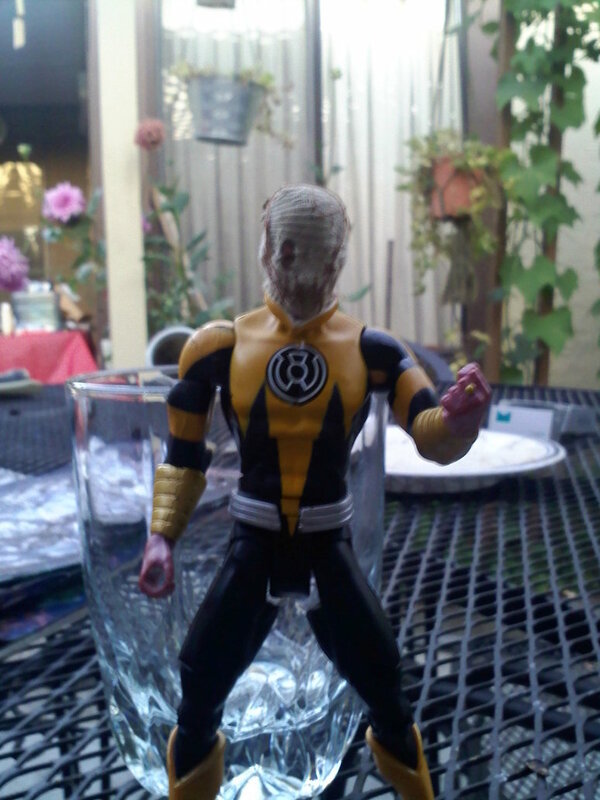 I also made my own sinestro corp scarcrow from a defective sinestro (if you look closely, he has two right arms). I cut up a beige shirt and stitched the mouth. 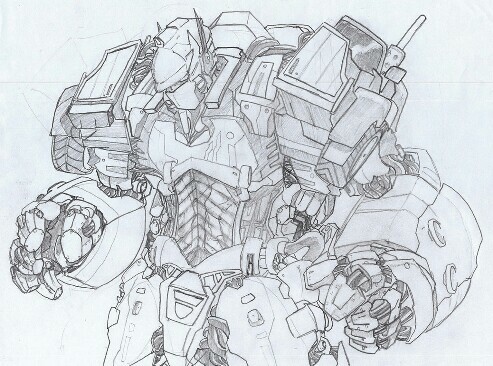 I didnt like how the official one looked. Laziest robot designer in the world!